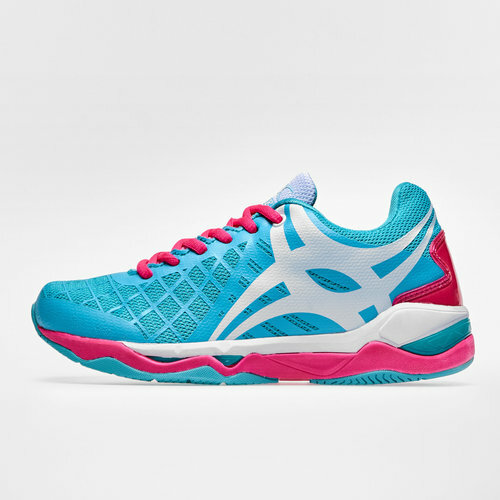 Instantly improve on-court performances by pulling on these impressive Synergie Pro Kids Netball Trainers from Gilbert in Aqua and Pink. Designed for the very top level athletes, a trainer which is packed full of the latest technology made to improve the way you play. Whether getting stuck into the action during training or playing in the biggest game of the season this trainer has everything you need to perform at your best and turn you into a winner.